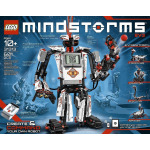 LEGO Mindstorms Kits - 3D Print Prototypes d.o.o. Kit There is	1 product. Short Description : All components are brand new and have limited quantities.